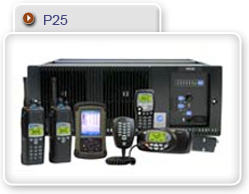 Tait Radio Communications has a proven and successful track record of delivering P25 digital solutions that meet the needs of a wide range of customers. Tait has invested in delivering a superior range of solutions based around this user-focused open standard, providing robust, interoperable, and secure communications solutions for our customers. Our customers can choose the following TaitNet solutions using P25: conventional, conventional simulcast, trunked and trunked simulcast. Tait DMR will deliver the advantages of the global Digital Mobile Radio (DMR) open standard. An experienced team works with you to deliver digital clarity, radio spectrum efficiency and IP-based flexibility for more effective data and voice communications. Our DMR solution is backed by Tait's reputation for resilient networks, robust, reliable terminals and our ability to tailor a system to each customer's exact needs. Smooth migration from analog and multi-vendor procurement ensures ongoing value and flexibility for customers choosing a Tait DMR solution.